To tie a bow around one's finger is a classic and delicate remembrance technique. Give her a reminder of love with this sweet sterling silver PANDORA Sparkling Bow ring with 28 clear cubic zirconias and every glance at her finger will remind her of you. 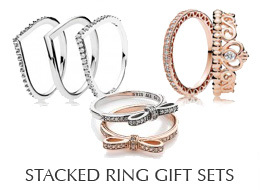 * If your finger measures between ring sizes we recommend selecting the next larger size. PANDORA Sparkling Bow Ring in sterling silver with 28 cubic zirconia.